If hidden gems and off the beaten track are something you have been looking for, then seek no longer and come to the North-East of Poland. This charming land, still not affected by great tourism, offers unspoiled nature, primeval forests, thousands of blue lakes, and fairy tale like landscape. It is also a fascinating and most ethnically diverse of all Polish regions, the land of the confluence of cultures. This is where for centuries members of different nations and religions lived together and many places of religious worship still remain. In addition to the natural richness of the region and cultural diversity, you will also find here magnificent historic highlights and top man-made attractions. Visit North-East Poland and fall in love with the mysterious and extraordinary land of green and blue! Transfer from Warsaw Chopin Airport/railway station to your hotel. Accommodation and free evening. In the morning we will meet you at your hotel and take you for the exciting journey north-east. Your first stop will be the holy hill of Grabarka. This extraordinary Mountain of Crosses is the most important Christian Orthodox sanctuary in Poland. You will see numerous beautiful Orthodox churches in this part of the country. 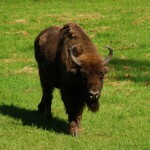 By early afternoon you will arrive in Bialowieza, UNESCO site, famous for unique pristine forest and European Bison. 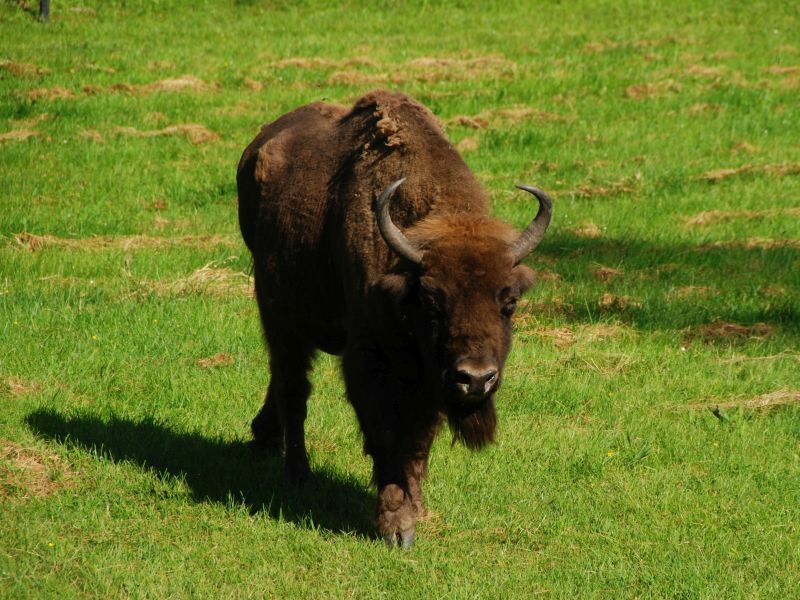 Here, at the European Bison Show Reserve you will have opportunity to admire not only those big mammals but also numerous other wild species such as wolf or lynx. In the evening, if you still feel like sightseeing, we recommend to take a stroll through the Royal Oaks Trail or visit the Bialowieza Palace Park and Museum of Natural History. Overnight in Bialowieza or Siolo Budy. Wake up early in the morning to set on the Primaeval Forest Walk. We will take you to the strictly protected area where natural processes are going on with no human interference. If you are lucky, you will meet some wild animals living in Bialowieza forest! After short lunch break you will leave the forest kingdom to discover other pearls of Podlasie region. One of its treasures is the “Land of open shutters” – unique villages where typical wooden cottages with rich wood carved ornamentation and colourfully painted shutters have been preserved. 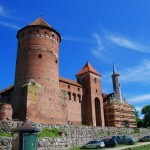 In the afternoon you will arrive to a fairy tale like town of Tykocin. It used to be a Jewish shtetl and the magnificent Renaissance synagogue gives evidence to the once vibrant Jewish life. In the nearby tiny village of Pentowo you will get a chance to observe the most favourite of Poland’s birds, white stork. By the evening you will arrive in Bialystok for overnight. Today you will encounter two different cultures and religions cultivated in North-East Poland. In the morning our guide will take you to picturesque town of Suprasl. 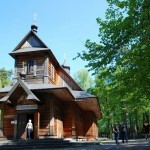 The historic complex of the Eastern Orthodox Monastery houses the extraordinary Museum of Icons. This unusual place exhibits a rich collection of icons from 18th and 19th century, sacred objects and unique frescoes. The monastery itself is worth seeing too. 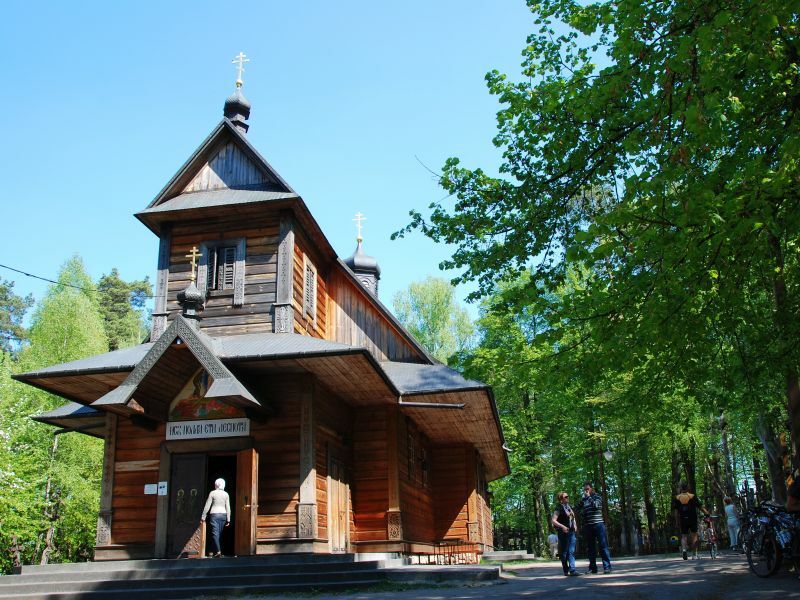 After having learned about the Orthodox Church, you will head for Kruszyniany to find out about the Tatar (Muslim) community and their traditions. Tatars settled here at the end of 17th century and their descendents still live in the village. They built a wooden mosque, one of the two oldest in Poland, and established a Muslim cemetery. You will also have a chance to taste delicious traditional Tatar meals in the original Tatar restaurant. 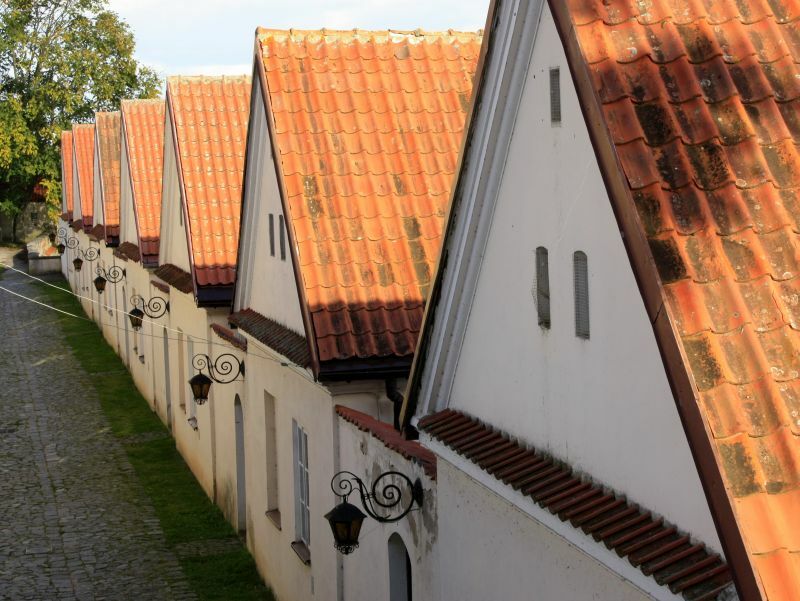 Return to Bialystok in the afternoon to enjoy a guided walk around the capital city of north-east Poland. Overnight in Bialystok. Now, it is time to explore more of unique nature of North-East. After breakfast you will head north to enter the land of marshes and peatlands. 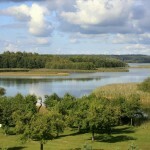 Biebrza Valley is a natural gem being the largest area of marshland in Central Europe. A local guide will show you the most interesting parts and if you come between March and June you will have opportunity to observe unique bird species and moose. Afterwards we will continue to the north. There is no better way to explore the land of rivers and lakes than taking a cruise. On board of a ship you will relax and admire the historic Augustow Canal and the lock complex, a hydro-technical achievement of the 19th century. After the cruise, you will again set off on a car journey. 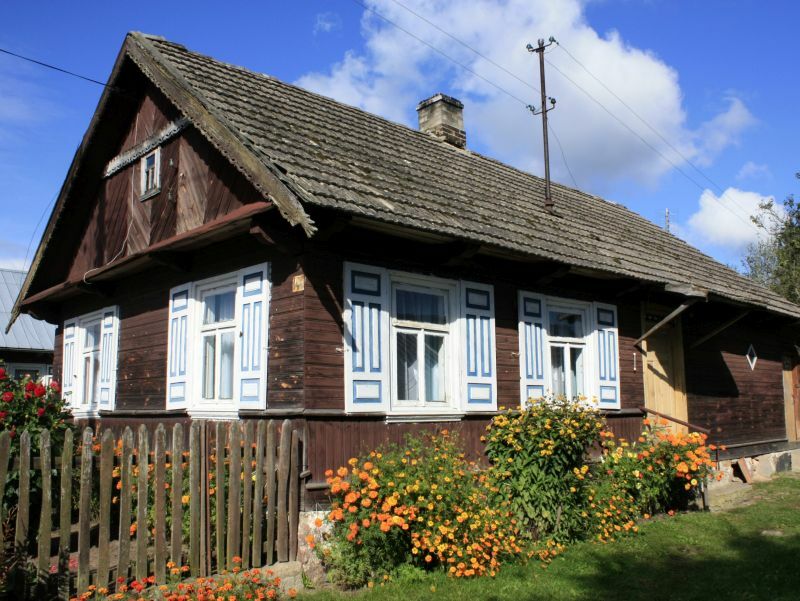 Before you reach Suwalki, where you spend the night, you will have further chances to get charmed by splendid views and amazing landscape passed by. Overnight in Suwalki. Today’s adventures begin in Wigry National Park. By beautiful Wigry lake the jewel of sacral architecture can be found – the Baroque monastery complex built in 18th century by the Camaldolese order. The monastery, church and hermitages (isolated cottages for monks) are picturesquely located on a hill on a peninsula surrounded by lakes. 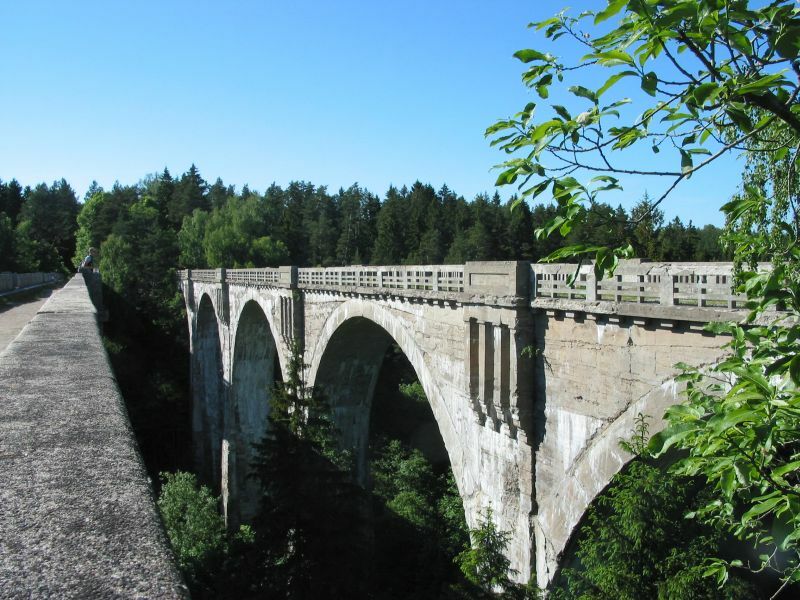 You will then head north towards the border with Russia to see the impressive historic bridges in Stanczyki. Two viaducts of unusual shape and size cross a huge valley. Those massive arched structures are considered the highest bridges in Poland. An hour drive will take you to another extraordinary place – mysterious Egyptian-style pyramid in Rapa. It is an isolated mausoleum of the family of Prussian barons who lived nearby in 19th century. The pyramid is said to have special properties. 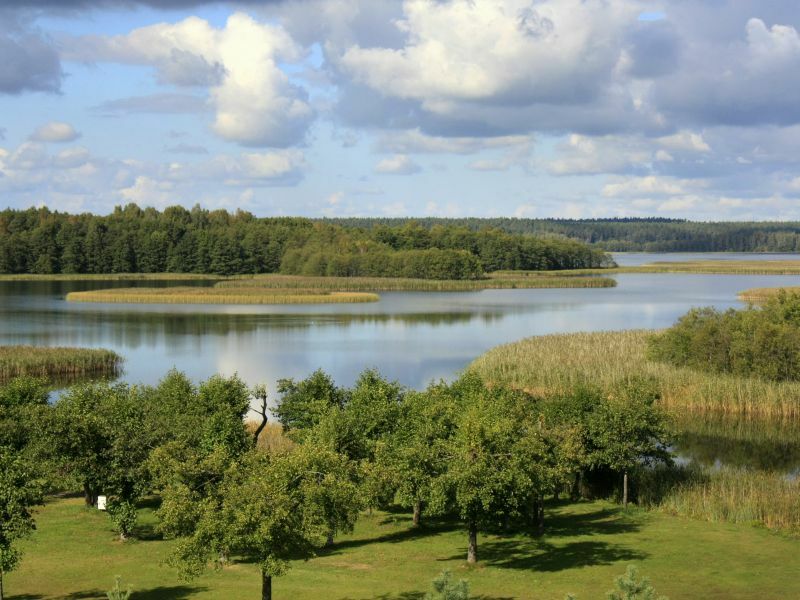 The last part of journey will lead through the scenery of the magnificent Masurian lakes. 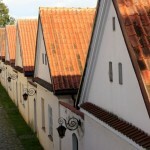 Overnight in Ketrzyn. Following breakfast you will go to nearby Gierloz where our enthusiastic guide will help you explore Wolf’s Lair (Wolfschanze). This was the famous military headquarters of Adolf Hitler where he spent around 800 days during World War II. A visit to the complex of bunkers well hidden in the woods guarantees unforgettable memories. After a tour of the forest fortress, you will head for Swieta Lipka to see Poland’s oldest Marian sanctuary and a pearl of Baroque architecture. It can be admired best during organ concerts when the solemn music is played and organ figurines of angels move around. Last stop on our journey is the picturesque Reszel. 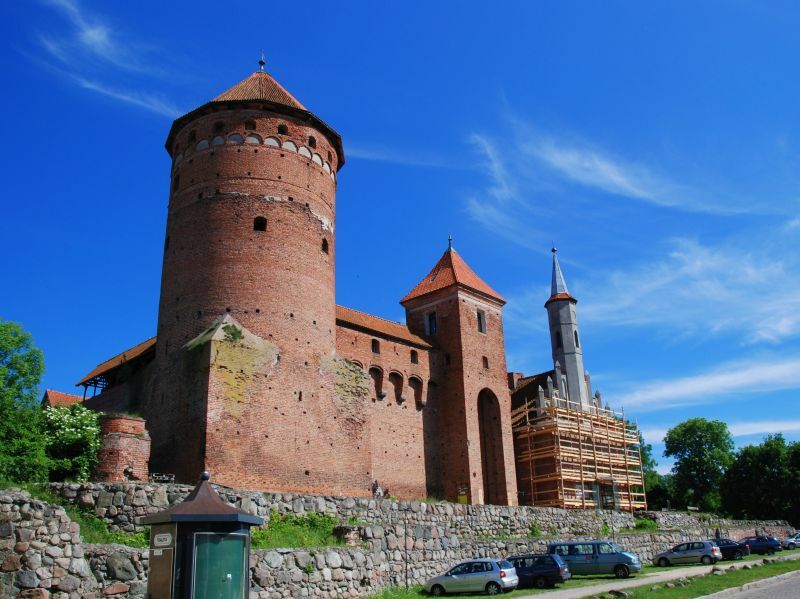 The main attraction of this medieval town is the Gothic castle built by the Teutonic Order in the 14th century. By the evening you will arrive to Warsaw for overnight. Breakfast and transfer to the airport/railway station. This is a private tour and it can be organized anytime you wish, all year round.